During migration, the feeders can get very crowded. 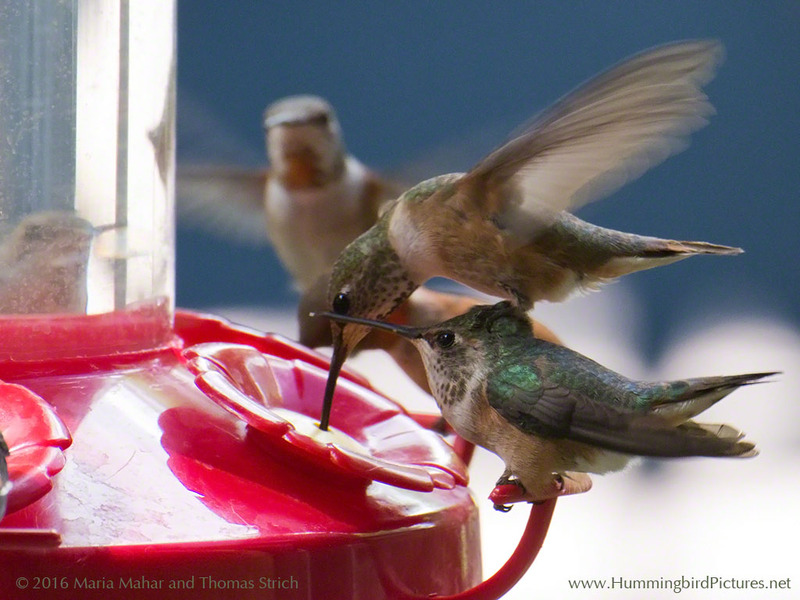 Sometimes the hummingbirds wait their turn, hovering behind the feeder until a port opens up. On occasion, they share ports side by side. Sometimes they attack each other from behind or from the side. It appears very stressful for the birds. This hummingbird doesn’t hit the hummingbird on the perch from behind. The perched hummingbird does not flush off. But the hovering hummingbird can’t wait. It balances on the head of the perched bird and reaches over to feed. 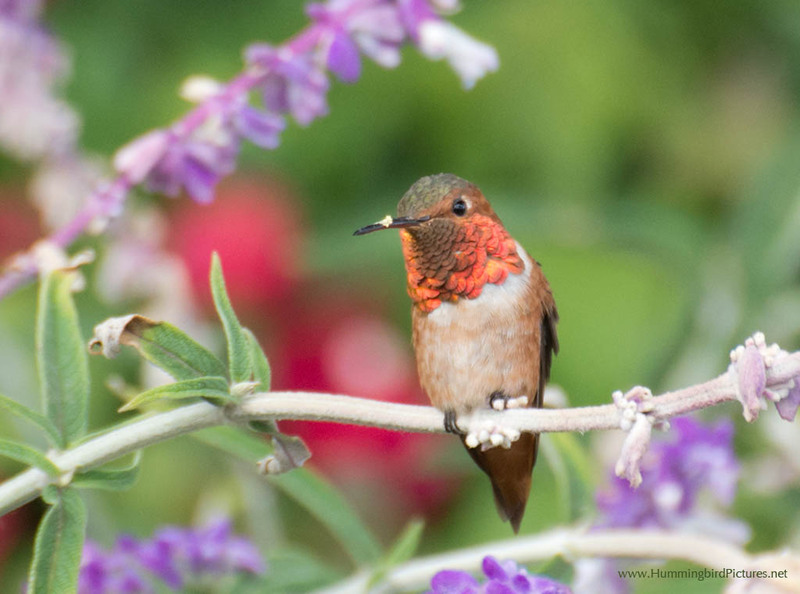 This Allen’s Hummingbird was guarding a patch of Salvia flowers. Allen’s Hummingbirds were busy in two large flower beds of Salvia and Bird of Paradise. There were at least two adult males in the area and an adult female. But we had no idea what their actual numbers were – there was too much chasing. These Allen’s were in the Newport area of Southern California, close to the ocean. We saw them feed from these Salvia and also from the Lily of the Nile, another purple colored flower. This is a good example of local flowers that attract hummingbirds even if the flowers are not red in color. 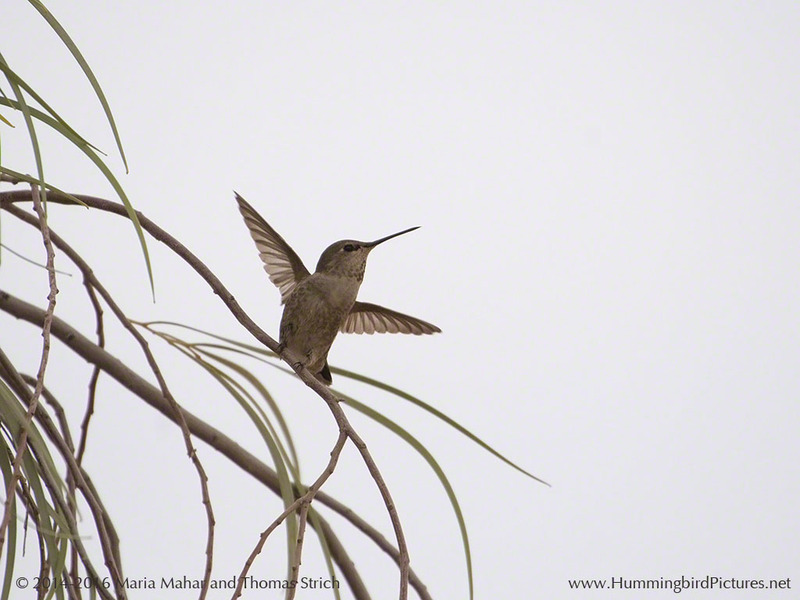 As usual with the Allen’s Hummingbirds, they vocalized at each other. They were often easier to hear than to see. Go here for the blog and here for home. 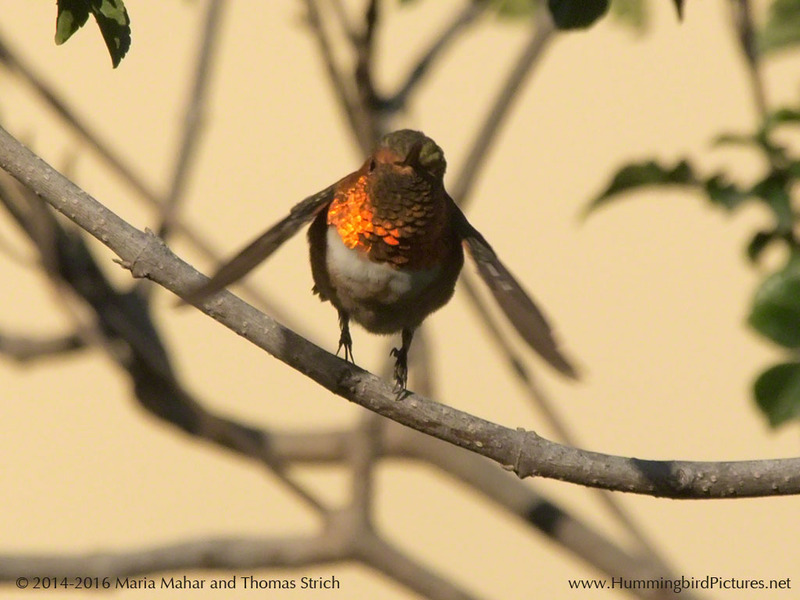 This hummingbird GIF shows how light on a hummingbird’s gorget can change how we see the color. 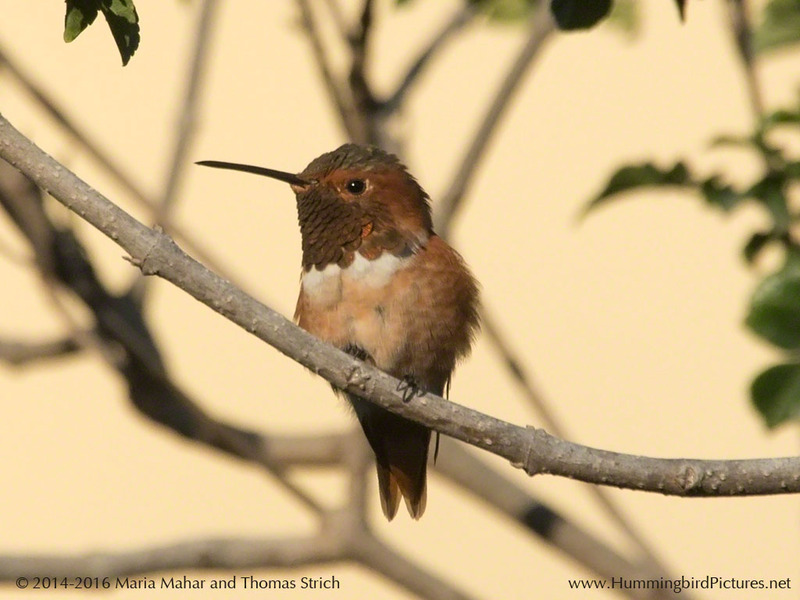 This Allen’s Hummingbird was guarding his patch of flowers in Southern California. 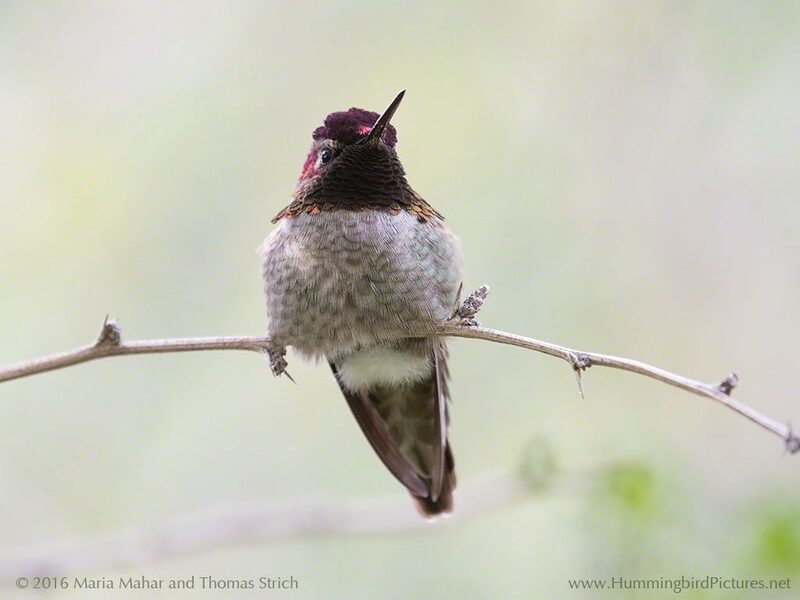 Here’s something a hummingbird does slowly – stretching. 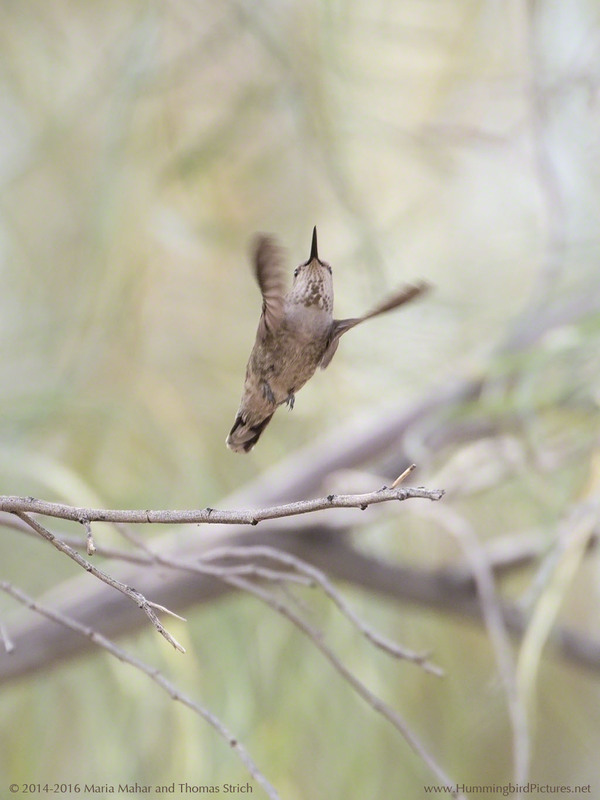 Below is a series of pictures showing a hummingbird approaching, then landing on a feeder. Just for fun, we put these pictures into an animated hummingbird GIF. 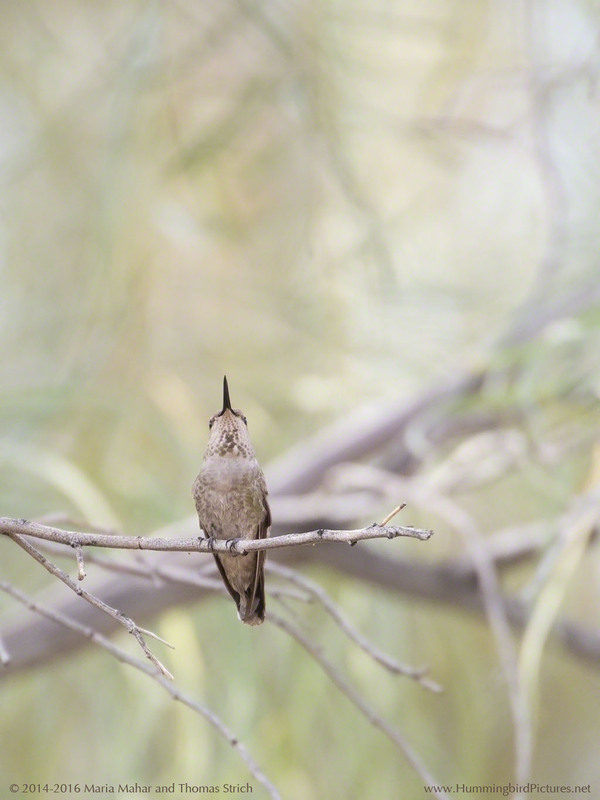 The photos are of an Anna’s Hummingbird, taken at the Boyce Thompson Arboretum during the spring of 2014. 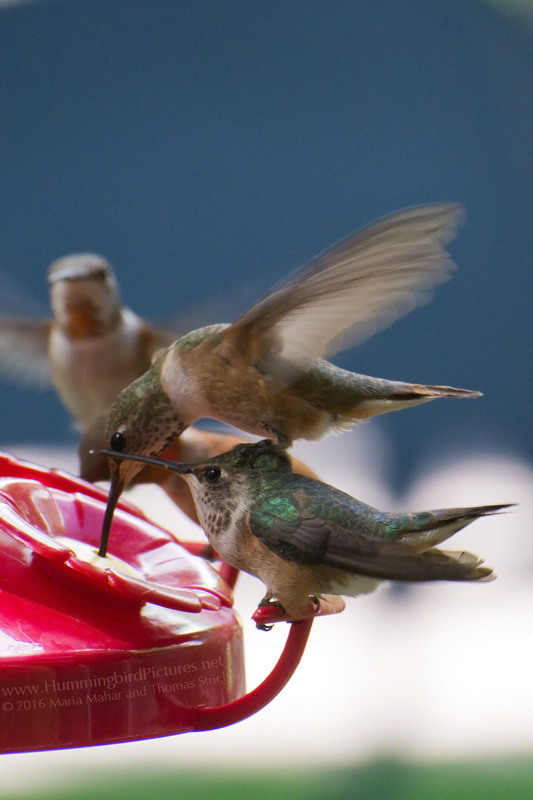 Several other hummingbirds were using the feeder on that day, including males. This bird was a little nervous on its approach, touching down, then backing away, then down.